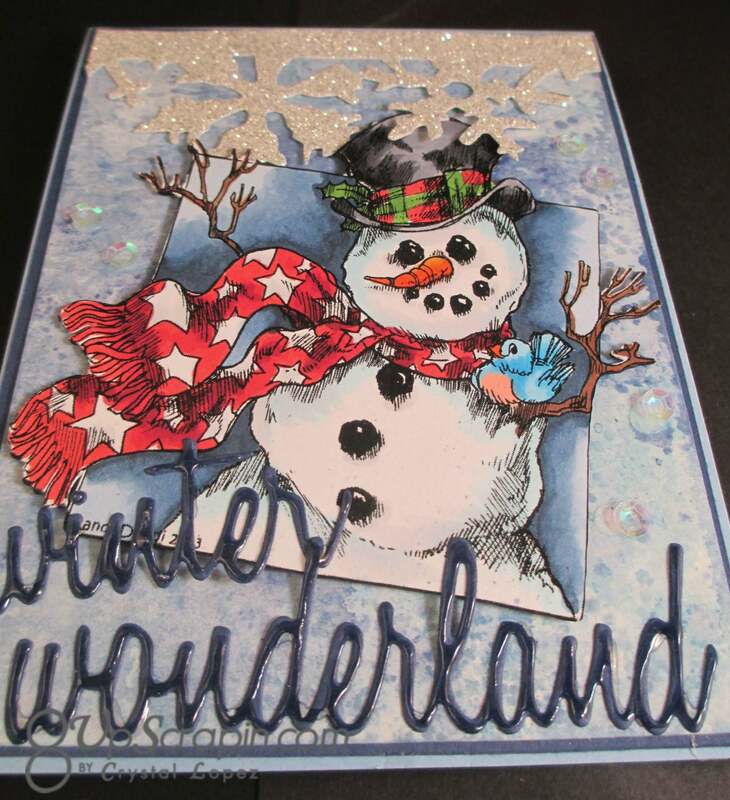 I Brake for a Winter Wonderland ..
You are here: Home / Scrappy / I Brake for a Winter Wonderland ..
It’s Crystal here and I am still making Christmas cards to add to my long list going out this year . 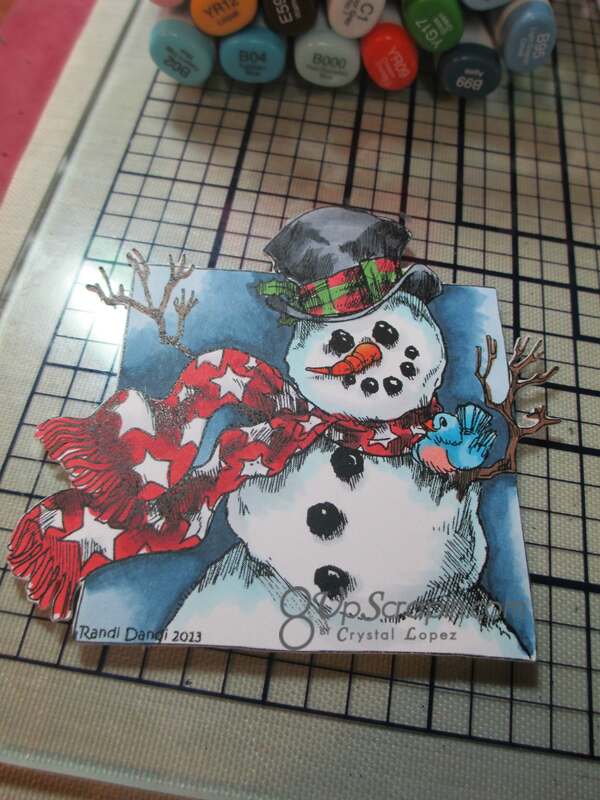 Today card I an using Snow Time like the Holidays digi stamp a Rick St Dennis digital stamp found in the I Brake for Stamps store . 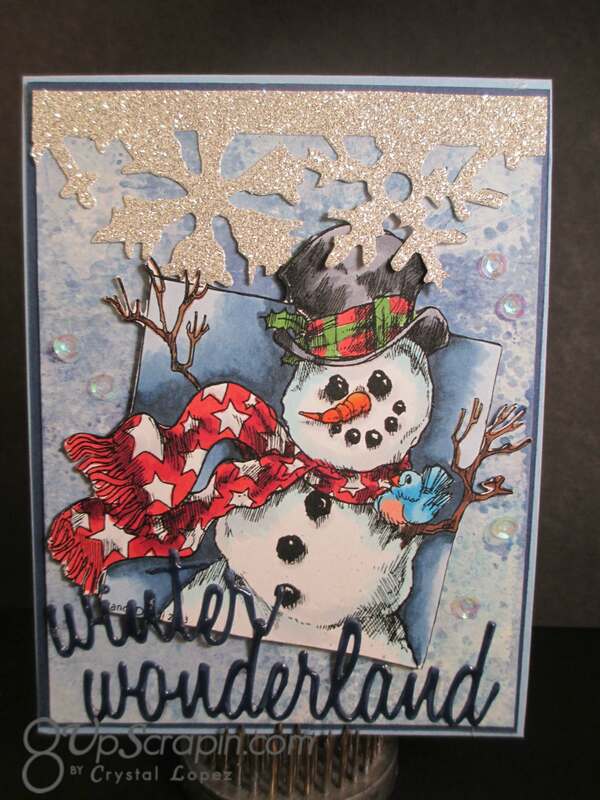 I used Tim Holtz distress ink to create my water-color back ground , I used Chipped Sapphire ,Stormy Sky and Tumble glass I smashed ink pad on a teflon craft mat spritzed water and then dragged water-color paper 140 lb. and heat dried and dragged it thru many more times drying in between until I achieved to color depth I needed . 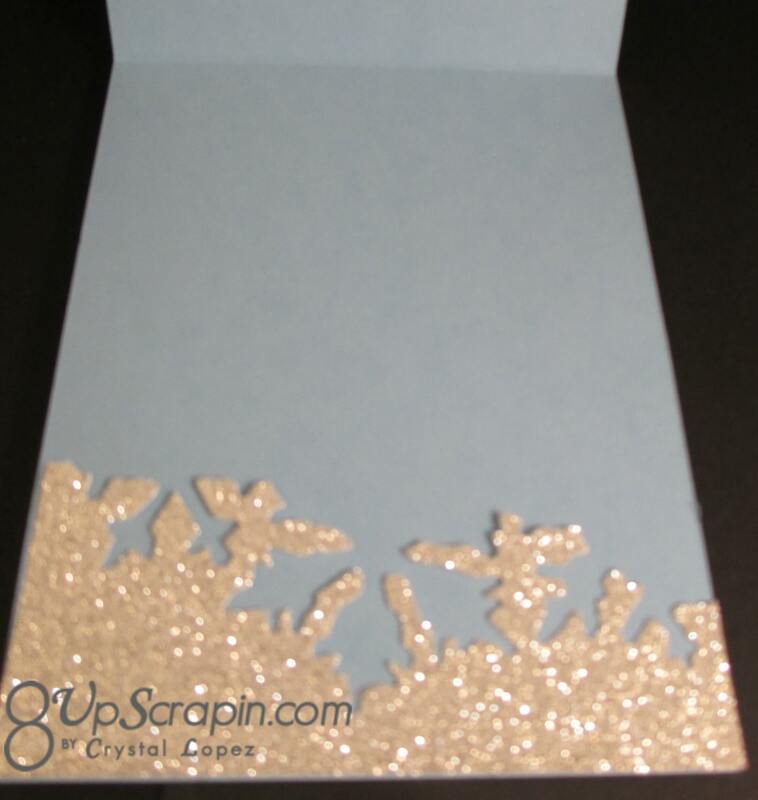 I used Tim Holtz Holiday Words dies in script and then added glossy accents to make then pop , the snowflake boarder is a on the Edge die from Tim Holtz , don’t throw away the negative piece when you make your cut I used it on the inside , too pretty to trash it ..
see how pretty , I’ll add my inside sentiment later as this can be a Christmas card or a thank you card or a Hello card anything you really need a cute snowman card for . 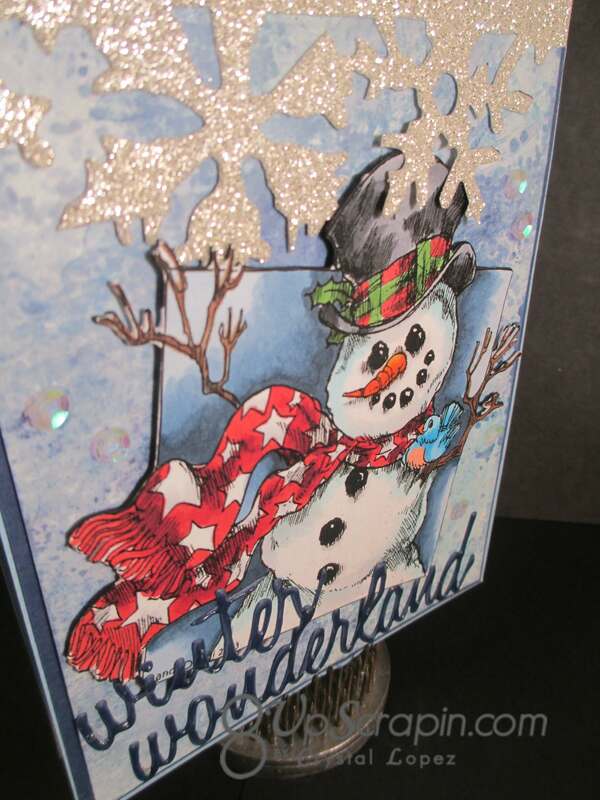 I hope my card has inspired you to make some Christmas cards .